Every time you begin a good work, you must pray to God most earnestly to bring it to perfection. 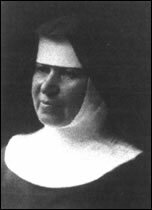 In 1889, five sisters from the Benedictine convent of St. Nicholas of Flue in Melchtal, Switzerland, founded St. Martin Monastery in Sturgis, South Dakota. The frontier town offered few amenities to Mother Angela Arnet and her companions, and an abandoned tavern served as their first home in Sturgis. Undaunted, within ten days of their arrival the sisters began a summer school. This was the beginning of St. Martin's Academy, which by 1916 had developed into a four-year high school, that continued in operation until 1991. During this time, the sisters also staffed may parochial schools in the diocese of Rapid City, as well as schools in Laguna Beach, California, and Casper and Riverton, Wyoming. In 1962, the community built a monastery and academy complex in Rapid City, South Dakota. With the rising cost of education, in 1991, the sisters closed the academy,opened a Learning Center, converted the residence hall to a retreat center and the classrooms to apartments for retired persons. A typhoid epidemic prompted the community to open St. Josephs' Hospital in Deadwood, South Dakota, in 1898. They later established hospitals and schools of nursing in Hot Springs and Rapid City, South Dakota. The community continued sponsorship of hospitals until 1983. At the request of Pope John XXIII, several members of the community served as missionaries in Columbia, South America from 1963-1981. Currently, one of the sisters assists a community of sisters in Santiago, Chile, who provide housing, education, and child care for unwed adolescent mothers. In 2007, the sisters sold 200 acres of land to the Diocese of Rapid City and the Rapid City Catholic School System and 200 acres to the Lutheran Good Samaritan Society. 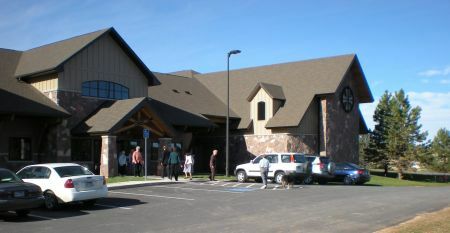 The sisters built a new smaller monastery, and on August 13, 2009, the community moved to the new facility. The sisters' ministry at St. Martin's today focuses on daily prayer, hospitality and fostering the spiritual growth of people of all faiths who come to the monastery for spiritual direction, retreats and workshops. The gift of Benedictine life extends beyond the monastery through the ministry of community members in parishes, health care facilities, and schools.